Check out our Moon Crop-top as the Editor's Pick in the latest Storenvy crop-top collection. The lovely folks at Yellow Bird, Yellow Beard featured our Republic tank and gave nod to our Storenvy page in a recent post. Check it out below. 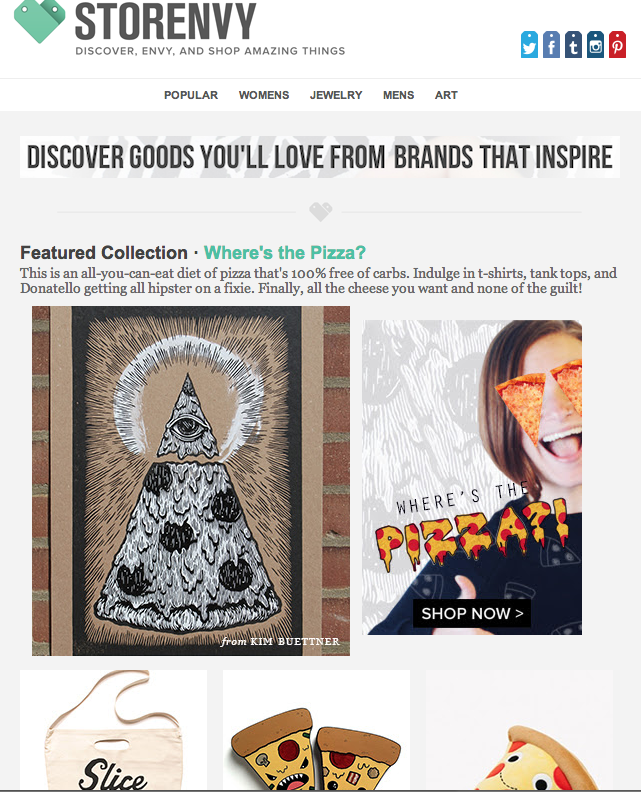 We are thrilled to be a featured brand on Storenvy. This past month we compiled behind-the-scenes stories and photos to share for this feature and are excited to see and share the finished product. Since the beginning, the amazing people behind the scenes at Storenvy have supported our company and mission and it's an honor to be recognized on their home page. Amidst all the Christmas colors, our brand new Galaxy hoodie is an Editor's Pick on Storenvy.